Shop our selection of authentic and custom handmade Moroccan woodwork including Moroccan doors, wood lattice screens, Moroccan ceilings, and much more. Wood carving is the technique of creating elaborate designs in wood by hand, with the help of carving tools. It may vary from floral, traditional motifs to geometrical or abstract patterns. 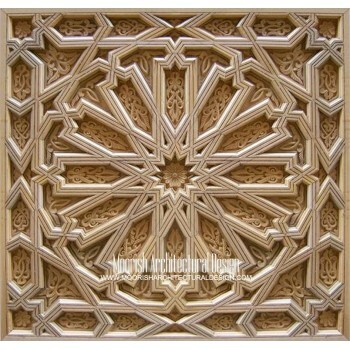 It is always necessary to first identify the texture of wood before the process of wood carving is initiated.The appearance always in abstraction, symbolizing the plant feature or geometry into three types of architectural components, namely, structural, elemental and ornament.Woodcarving is one of the popular methods of carvings used in Islamic art and buildings/architecture especially mosque. The significant effect of woodcarving in the mosque enhances beauty and introduces symbolism to the vernacular architecture. 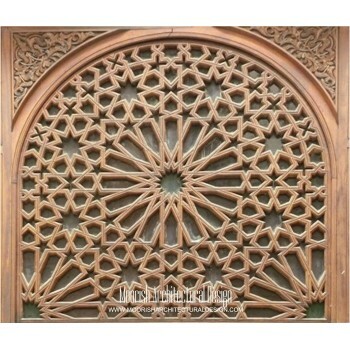 Shop our exquisite selection of authentic Moroccan style wood lattice screens handcrafted in Morocco by master artist. 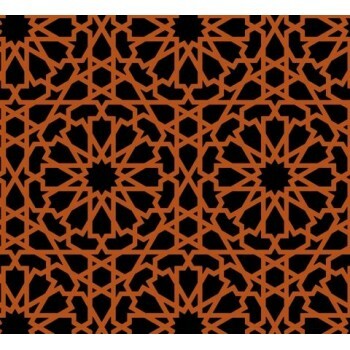 Custom handmade Mashrabiya also known as Moroccan wood lattice screens, fretwork, Jali fretwork decorative screens suitable for kitchen and bathroom cabinet doors, window shutters, room dividers, door inserts, and much more. Browse our website for the best quality custom handcrafted Moroccan style wood doors traditionally handcrafted in Morocco by master artisan. Choose from a wide selection of Mediterranean interior doors, Moorish closet doors, Rustic Spanish pocket doors, Middle eastern wardrobe doors, Moroccan style French doors. Moroccan Interior doors are perfect for providing privacy and tucking away any less-than-pleasing items like closet storage. While it can be easy to let these essential workhorses blend into the background, Moorish closet doors can enhance your home interior through style, color and texture. Browse our website for the best selection of original hand-carved or hand-painted Moroccan wood ceilings. Available in custom sizes, colors, finishes upon requested. 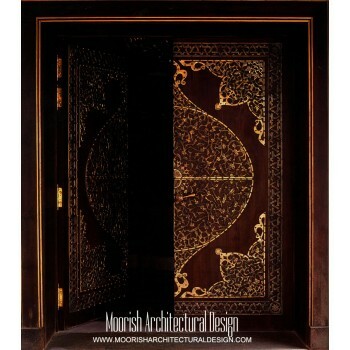 Shop our website for the best selection of authentic Moroccan decorative carved wood panels available in custom sizes.